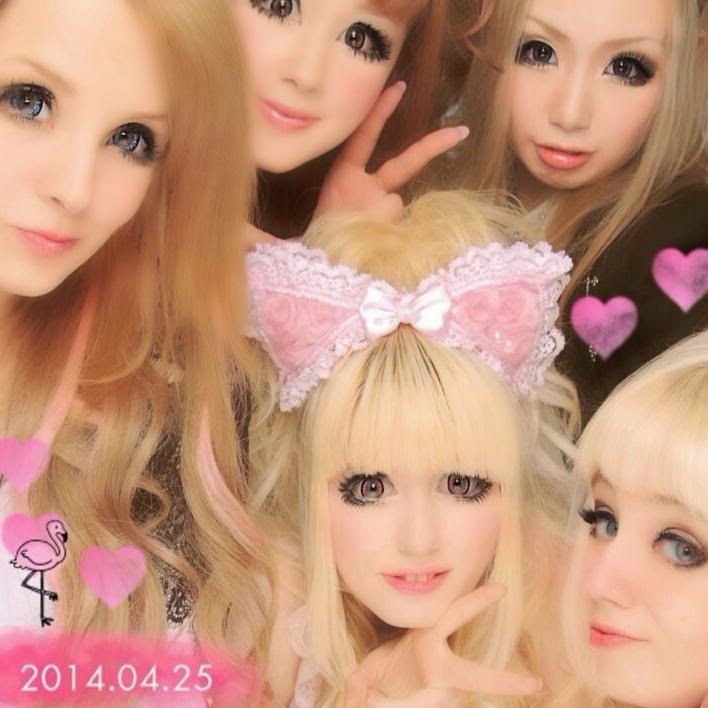 Capsule Bunny: Kabukicho hair set and Girl's day! 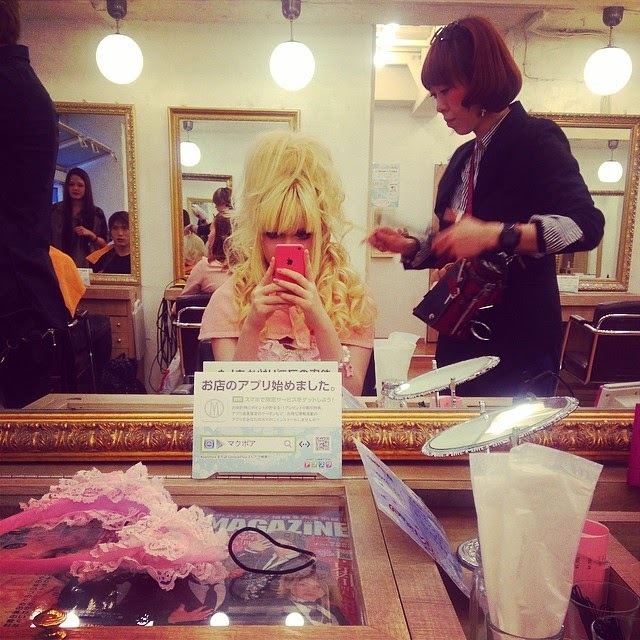 Kabukicho hair set and Girl's day! Vanessa showed us a great place to get our hair sets; it was only 1600 yen and you could pretty much pick which style you wanted. They had magazines such as "Host" and "Ageha" so if you couldn't explain what you wanted, you could just point at a picture. The place didn't look fancy from the outside, but inside the interior was quite luxurious and they played great music while we had our hair done. I chose a half-up do, the same as Rosanna, as we saw another girl having her hair done in this style and it looked awesome. I was actually surprised, it was as though they were using some kind of magic hairspray because in the end our hair ended up being monstrously big. 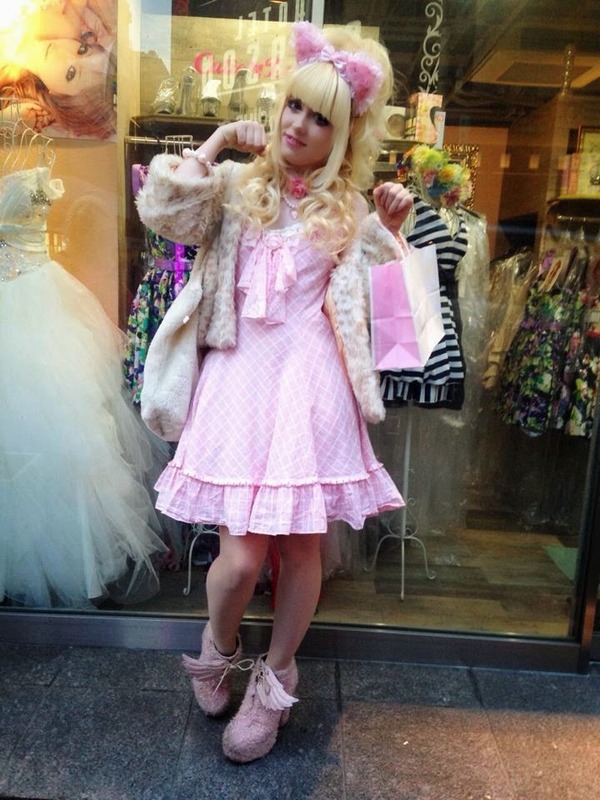 I chose such a big bouffant because the outfit of the day was hime-gyaru; a baby pink La Parfait dress with lots of bows and ruffles, dusty pink winged heels from OneSpo and lots of accessories from my favourite accessory store Ruby Rose. 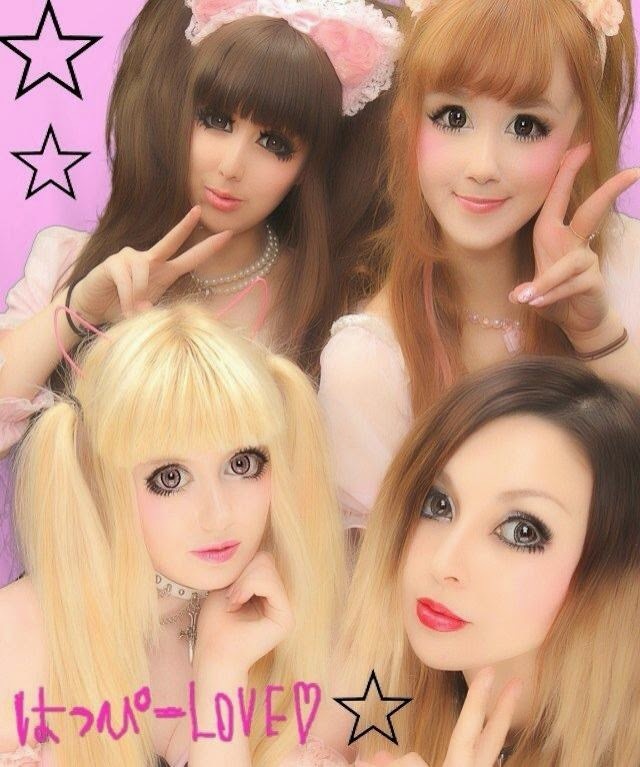 Of course after getting our hair done, there was only one logical place to go - to the Taito arcade for some Purikura and games! That night I dressed slightly more Rokku, but still with lashings of pink. My top is from Glavil by Tututuha and the choker is from H.Naoto. Everything else is Offbrand. I am excited for the next meet up, I think fashion is at its best when it brings people together.